Had this at lunch yesterday courtesy of Ashleigh Barrowman of Scotch Wine Bar. It’s a quite beautiful wine, but initially on the nose it is a little scary, with some animal pretty notes (this is a natural wine with no added sulfites and total SO2 of 7 mg/litre). But it’s not a faulty wine: once you get it in your mouth, it all works, and the flavours and aromas all come together beautifully. 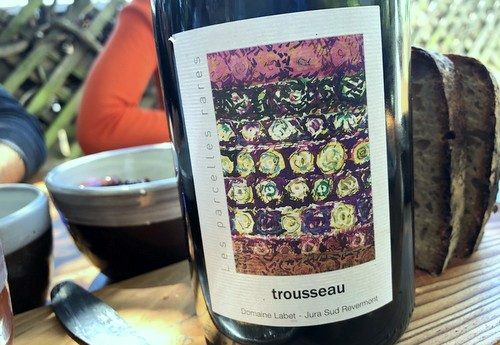 It’s a gorgeously expressive lighter styled red, something the Jura does so well. See also: three Jura wines that thrilled; a Labet Savagnin.